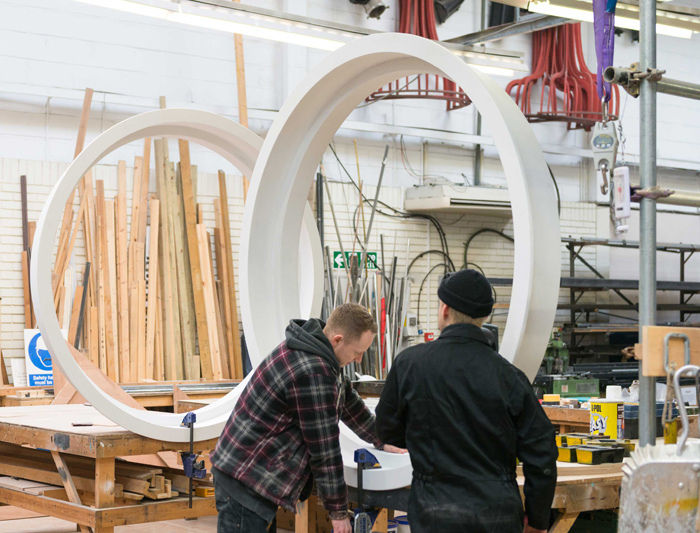 ‘An oversized speaker has bowled up at White City Place’. 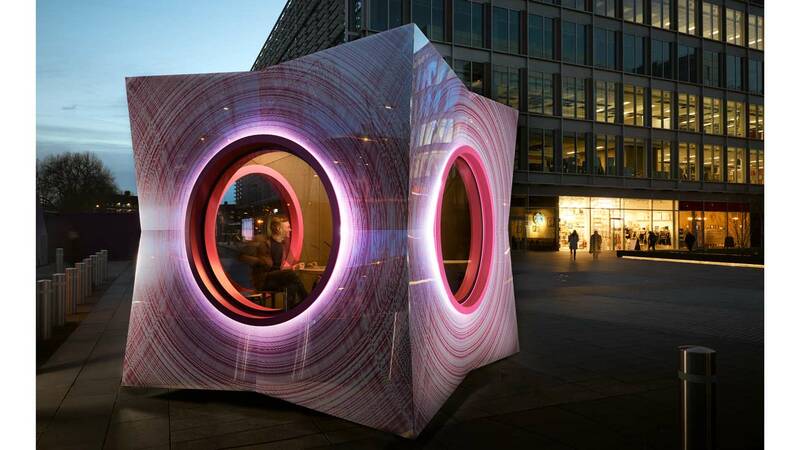 The Pod, located in this emerging creative business district in west London, formerly home to the BBC, is a moveable temporary structure for the recording of podcasts. 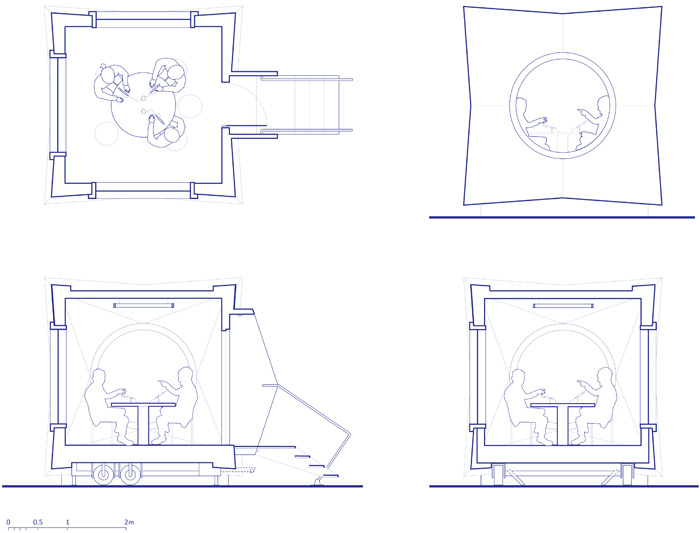 The 12sqm pod seats up to six people and provides a fully functional studio. 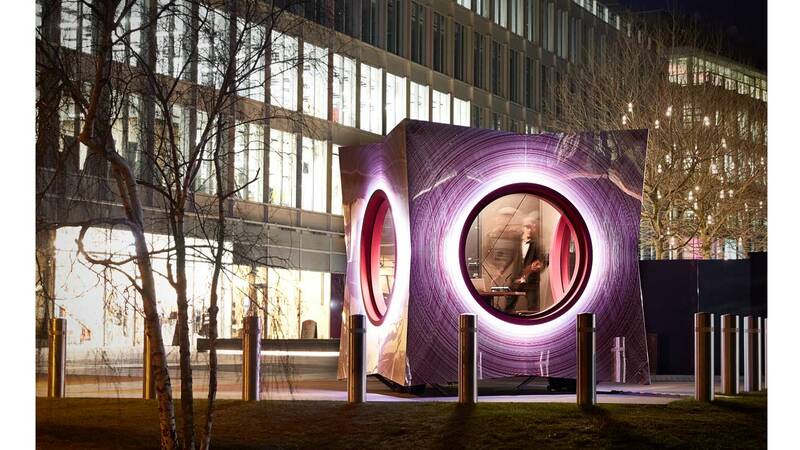 Since its launch, The Pod has featured in several international publications including Wallpaper, Design Week and Creative Review, been shortlisted for a NLA award, featured in RIBA J Public Realm 2018, been shortlisted for 3 Property Marketing Awards and in June 2018 won PMA Best Creative Element 2018. 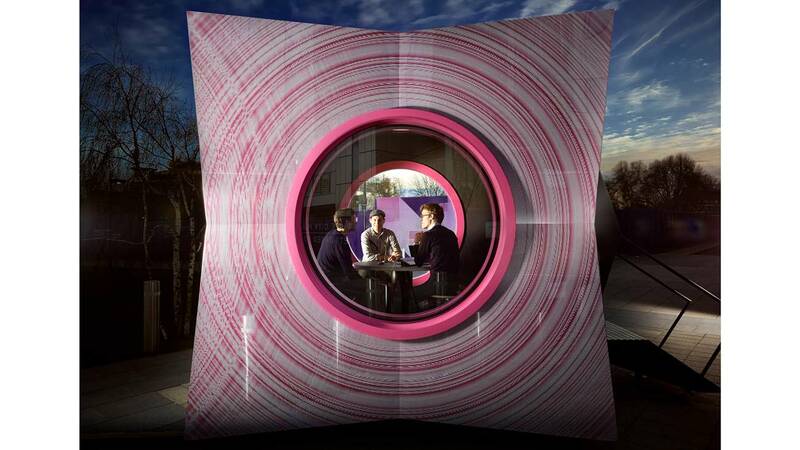 Creative agency dn&co challenged Fathom Architects to design a striking, mobile, outdoor studio to enable brands, entrepreneurs and publications to take their first steps into the world of podcasting. 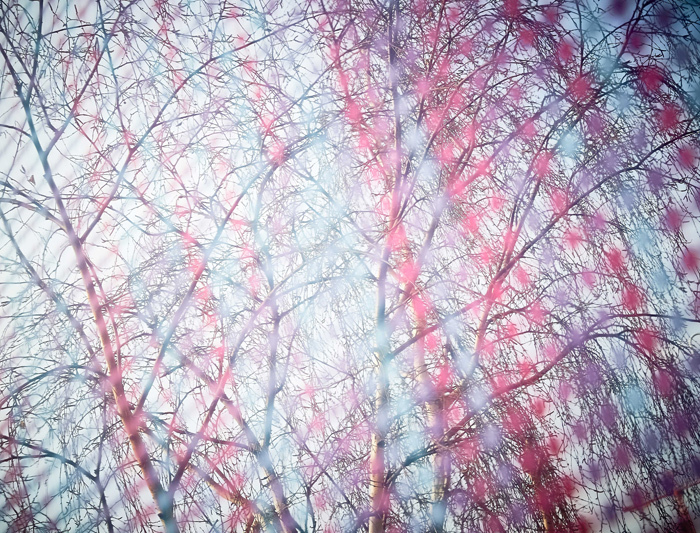 as part of their placemaking brand strategy for White City Place. 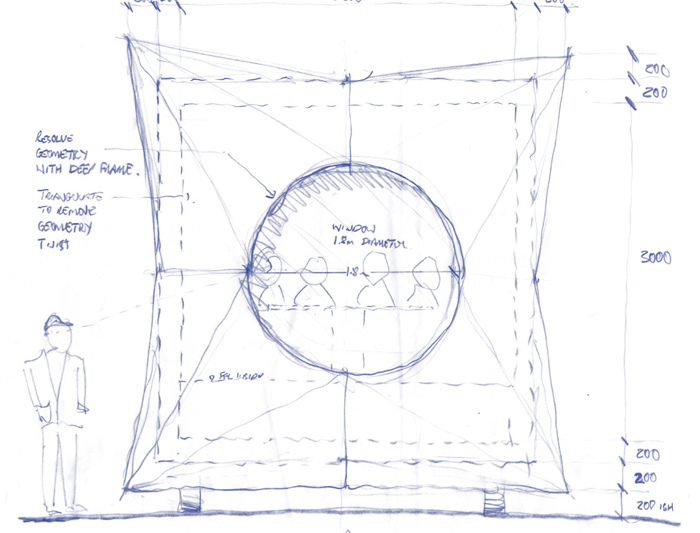 Our concept took inspiration from loudspeakers and the movement of sound to create a disrupted cube with audio waves emanating from its centre. 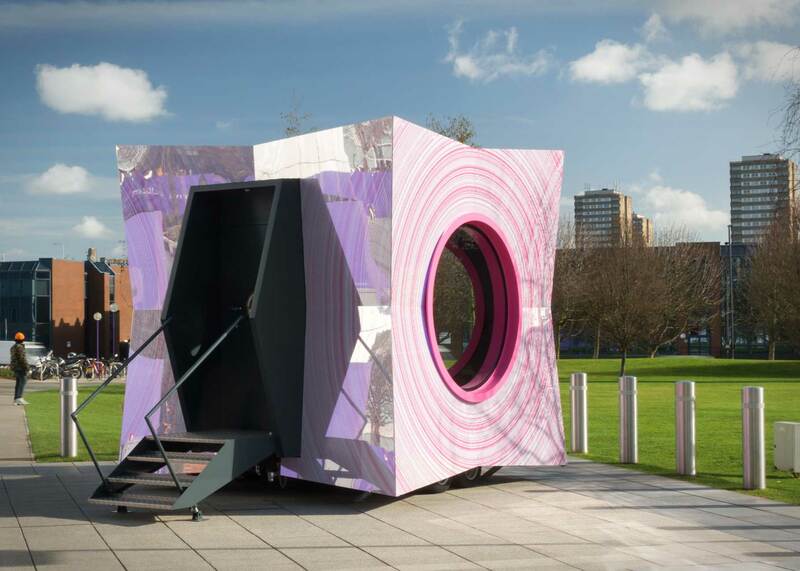 The 3.4m x 3.4m Pod has large circular windows, referencing speaker cones, allowing a strong visual connection between the broadcasters and passers-by. 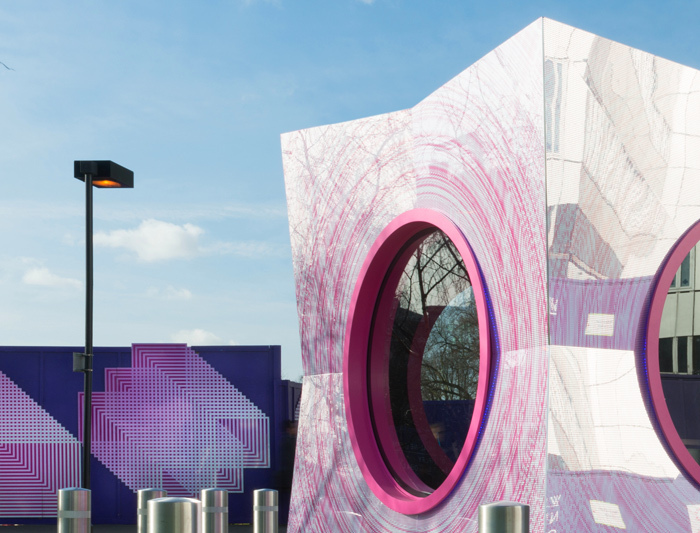 The bold patterned façade of The Pod was created by translating the first spoken words transmitted by radio: “One, two, three, four. 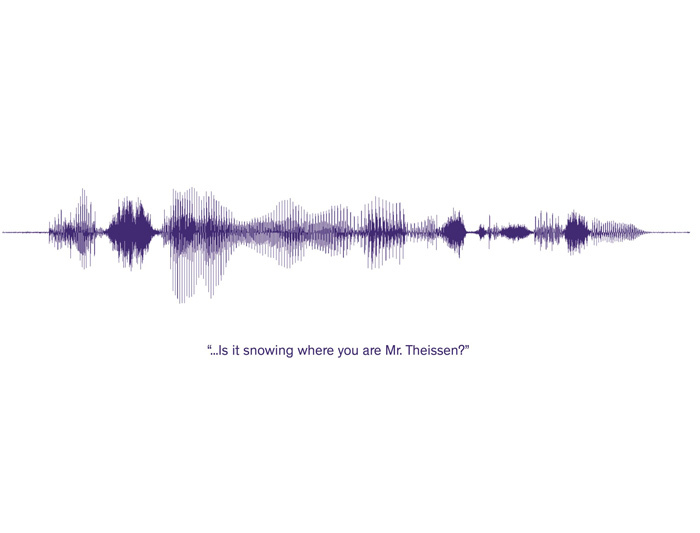 Is it snowing where you are Mr Thiessen?” into sound wave interference patterns, using bespoke digital scripting. 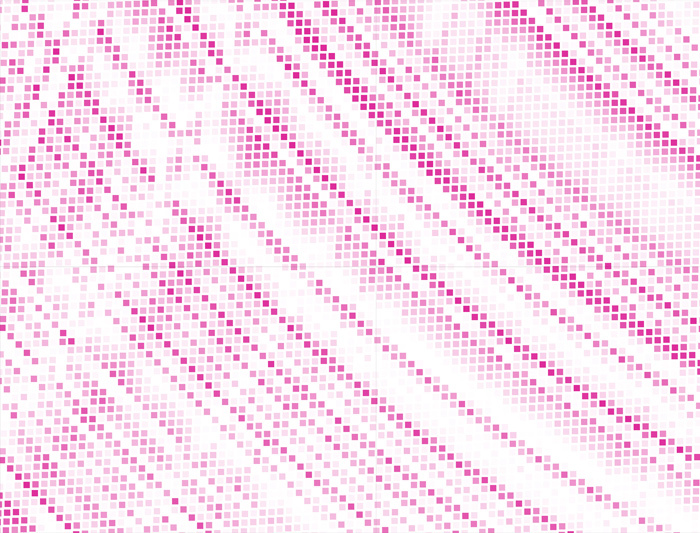 The sound waves are represented by 350,000 ‘pixels’ using a colour palette drawn from the development’s branding. 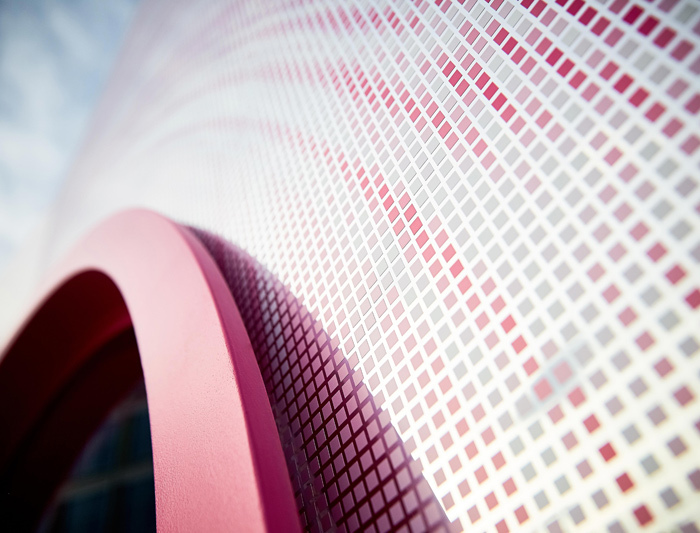 An ambitious brief, short timeframe and non-standard project typology created a set of delivery challenges which required an innovative approach to construction. Collaborating with Box Deluxe – a fabrication studio specialising in structures for film, TV and live events – we conceived and developed a viable design with a strong visual aesthetic. 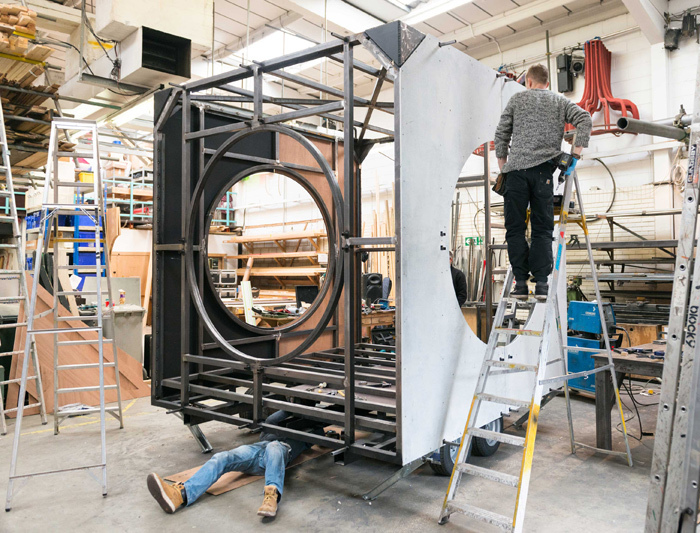 Wholly fabricated off-site, the structure was winched to its final location overnight, achieving the client’s aspiration for a pod which ‘appears from nowhere’.